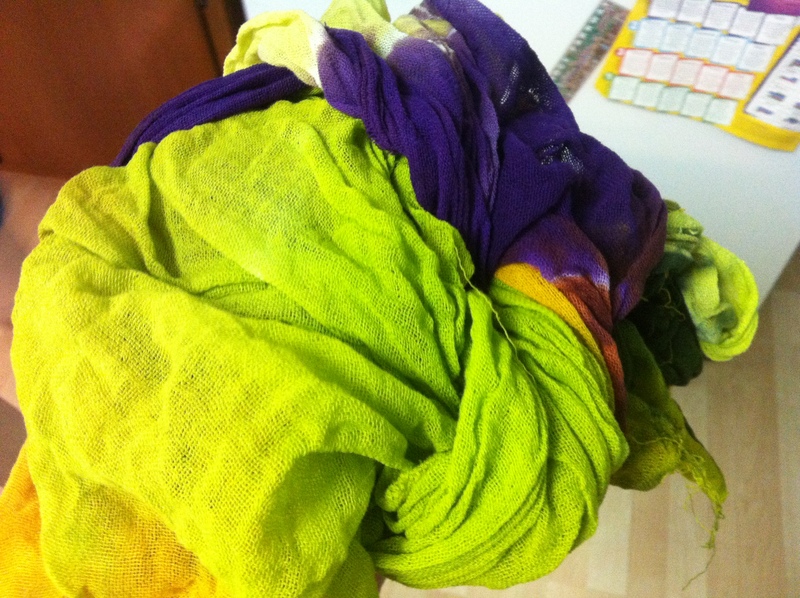 Dyeing gauze for nuno felting! 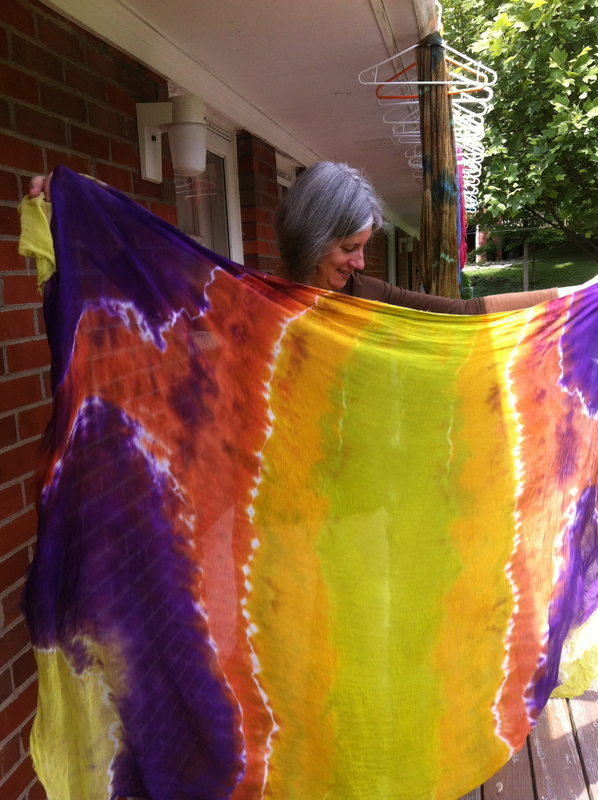 I’ve been having great fun dyeing cotton gauze under Jan Durham’s expert eye. It’s my first time getting to grips with Procion MX dyes are really they’re not difficult to use, the biggest problem was having to wait overnight (it could have been longer) before opening the bundles and seeing what I’d achieved!!! I like the idea of dyeing my own fabric to nuno felt into, I don’t think I’ll be doing this every week when I get home but I’ll definitely order some of the colours I like best and make an effort to experiment further. I’m not the tidiest person as regular followers of this blog know by now but I was able to keep myself totally dye free, luckily Jan’s husband Bruce was away yesterday though because if he had been around he mightn’t have been so happy about the dye I managed to spill all over the white counter top! Once the bundles had time to absorb all the dye I rinsed them in cold then hot water before putting them through a wash cycle in Jan’s great big washing machine. The weather’s been a lot drier today (the rain this last few days has been just like Ireland!) so I was able to hang everything outside to dry. I ironed the smaller scarves but the larger piece in the second picture I decided not to bother ironing! I’m going to nuno felt it into a shift dress hopefully, I had planned to do it here but I actually think I may need to keep it until I get home and then I have my full selection of short fibred merino to work with. Kind of hippy, dippy don’t you think?